Well hello you ruddy lovely people! 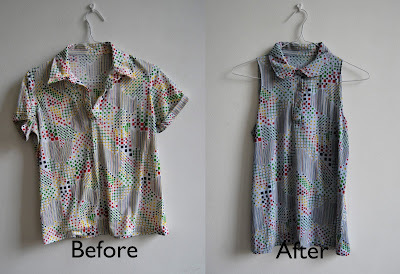 Step one: Lay the shirt flat and inside out on your desk. Step three: Admire my bright pink sewing machine. Step four: Start drawing the shape you want for your new arm holes. I roughly sketched it in first, then rounded it off with a darker line on top. This step may be the hardest. 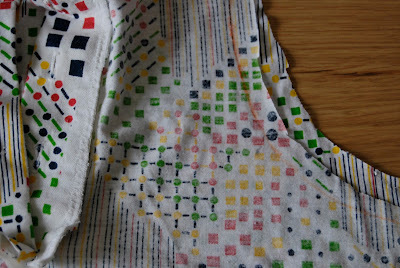 Step six: Flip your pattern piece over and repeat step five! 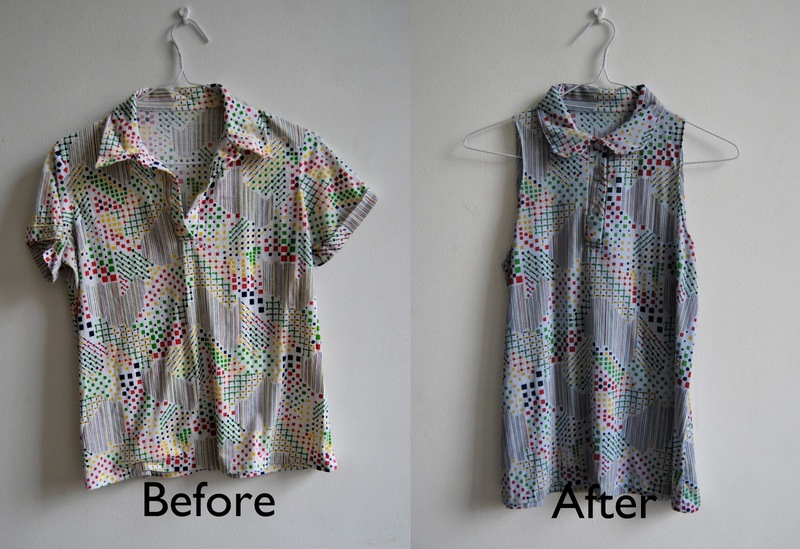 Step seven: a lot like step four - turn the shirt around and draw a new shape for the back of the shirt. You'll likely want it to be wider across your back than your front (at least I did) just make sure where your shoulder is, that it meets up with the front, and you'll be fine when cutting and sewing time comes! 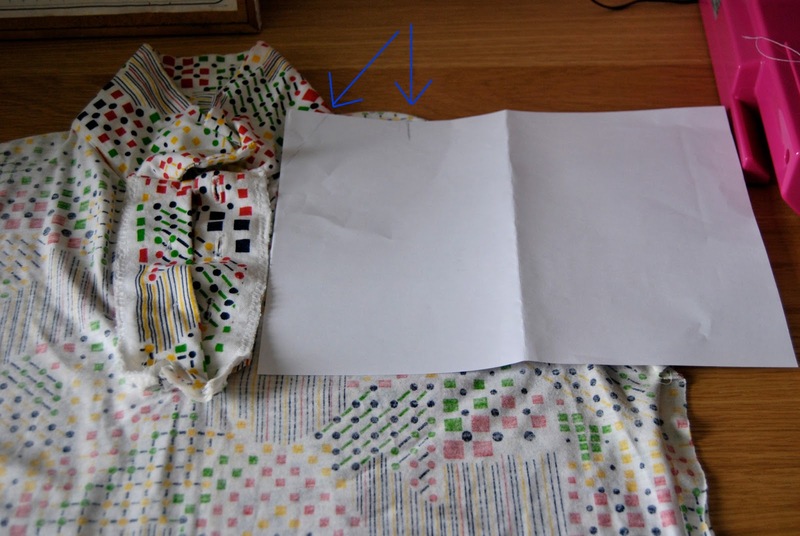 Step eight: cut the shirt about a centimetre away from the line you drew, so you allow for a bit of wiggle room for sewing. Step nine: (Not shown) iron the edges down so that your line is where the crease is. This makes your life a LOT easier when you sew it! 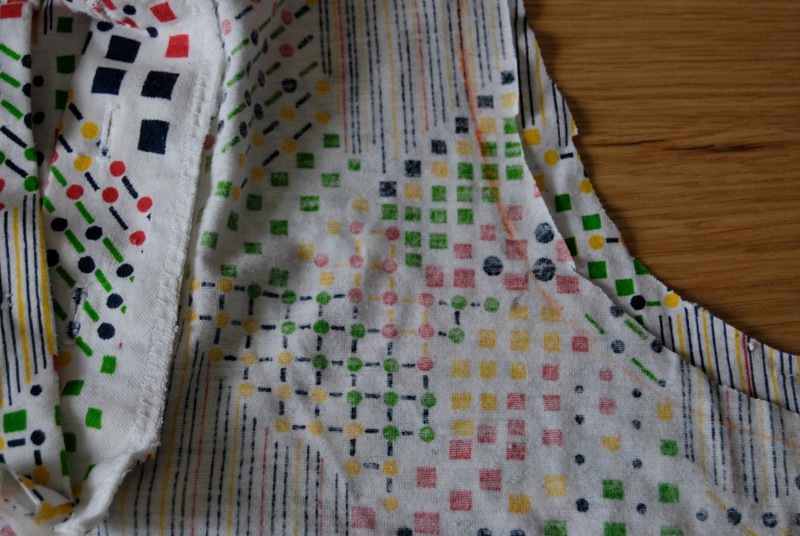 Step ten: (Also not shown) Sew that baby! I sewed the seam about two millimetres away from the edge. It's a bit tricky keeping your line uniform, but take it slowly if you need to - I did! Step eleven: (Also not shown... I stopped taking pictures at this point, apparently. Worst blog post ever.) Draw a circle on the back of the collar, and cut the corners off. Tuck the edges in and do your best to sew it closed. I really really really wish I took a picture of me doing this... but in my defense, both my hands were in use! Step twelve: I dyed my shirt in very hot water with some ink! After it sat in the steamy steamy bath 30-40 mins, I rang it out and rinsed it in very very cold water. I let it sit in a sink of cold water for about 10 minutes, let the water out, and repeated. 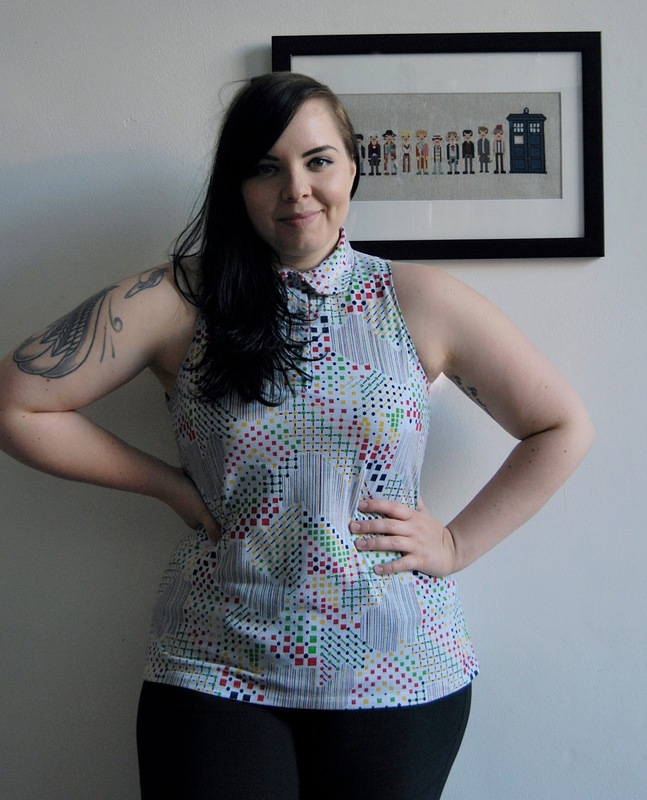 Then, when all was dry and I was happy: I put on my cute new shirt and made a smug face and took a picture! CUTE SHIRT ALERT! Three sisters, bonded by blood & creativity. Raised in a house surrounded by renovations, craft supplies, good books, & folk music. ~ Jacq – The DIYer, the eldest sister. Living in the Niagara region of Ontario, she runs her cross-stitch business, Wee Little Stitches with her husband out of her new home. She is a multi-crafter, she's tried everything – embroidery, crochet, scrapbooking... ~ Em – The Knitter, the middle sister. An expert knitter & sometimes designer, she spends her free time taking in the sites of Ottawa, Ontario. She dabbles in the kitchen, never following the recipe, often with horrific results. ~ Elizabeth – The Cook, the youngest sister. She is a maven in the kitchen; she cooks, bakes, & sometimes blogs about it. She also draws, photographs, writes, & adores all things vintage. She resides in London, UK, inspired by its architecture, people and culture. Three sisters a world apart, forever homesick for each other, finding comfort in crafting, fashion, individuality, & being confident women.